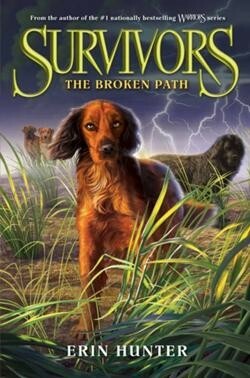 My book that I read was called Survivors The Broken Path. It is the forth book in the series. The book is by Erin Hunter. When Lick comes back after being taken away by her real fierce dog pack, the leash dogs and the wild pack realizes that they need to get far away from the fierce dog camp before they find them and destroy there pack. But life has already been hard enough for the dogs and soon they discover that there is truly no safe territory, and in the mean time, they meat another pack that could cause great harm to them. I would totally recommend you read this book. It is full of adventure and action and you wont want to stop reading it and you can also read the whole series from book one to five.